This week on the AppleInsider podcast, Neil and Victor talk about the iPhone X, an image sensor acquisition, AR glasses rumors, and iOS updates. This week on the AppleInsider podcast, Victor and Dan talk about the best things he's found using the iPhone X, its edge-to-edge OLED display, Face ID unlock system, and more. This week on the AppleInsider podcast, Victor and Mike talk about new iPhone cameras provided by LG, the top tips for getting an iPhone X, HomeKit and Amazon door locks, and more. This week on the AppleInsider podcast, Neil and Victor talk about iPhone 8 production numbers being cut, anticipation for iPhone X, the FCC's useless call for FM radios on iPhones, and Apple buying a healthcare company, and much more. This week on the AppleInsider podcast, Neil and Victor talk about Jony Ive's interview at The New Yorker TechFest, the future of Apple, augmented reality headsets, foldable phones, Disney's push for movies on any service, and much more. In a conversation at The New Yorker's TechFest conference in Manhattan on Friday, Apple chief designer Jony Ive gave a small glimpse into the development of the upcoming iPhone X, and the time that it takes for technology to catch up to ideas -- and AppleInsider was there. This week on the AppleInsider podcast, Neil and Victor talk about the possibility of an ARM CPU in a Macbook, Google's new devices, and more. This week on the AppleInsider podcast, Victor and Dan talk about the best things he's found using the iPhone 8 and 8 Plus. Neil also comes back to talk about his experiences with the Apple Watch Series 3 with cellular. In this special episode of the AppleInsider Podcast, Daniel Eran Dilger joins Victor to talk about his experiences now that he's had the iPhone 8 and 8 Plus in his hands for a few days. This week on the AppleInsider podcast, Victor and Neil discuss some of the changes in iPhone 8 and X. Dan comes back to talk about his impressions having held them in Apple's hands-on area after the event. In this special episode of the AppleInsider Podcast, Daniel Eran Dilger joins Victor to talk about the Sept. 12 event and what we saw announced: Apple Watch, AppleTV, iPhone 8 and iPhone X. Daniel breaks away from the event to give his thoughts on what's really important that we saw today. This week on the AppleInsider podcast, Neil and Victor talk about next week's announcement of the 'iPhone 8', Apple Watch, OLED technology, and Victor interviews iZotope's Product Manager, Colin Thurmond, about their new Spire Studio recording hardware. 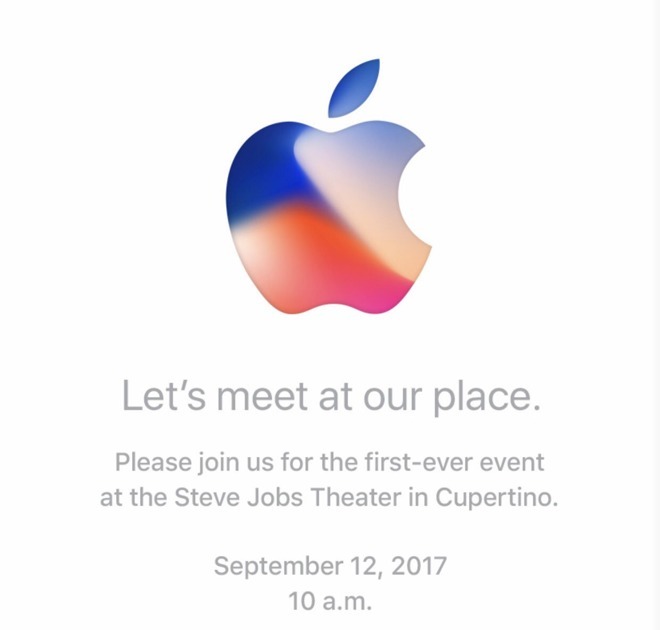 This week on the AppleInsider podcast, Neil and Victor talk about the "iPhone 8" in advance of Apple's Sept. 12 event, including what it means to have a phone without a home button, and much more. This week on the AppleInsider podcast, Victor and Mike talk about "iPhone 8" release dates, and the possibility of a 4K Apple TV. Also, Victor interviews Gleb Budman, CEO of the popular backup service, Backblaze.com. This week on the AppleInsider podcast, Neil and Victor talk about the almost-certainty that is an LTE-enabled Apple Watch, pricing and affordability on the "iPhone 8," Tim Cook's leadership following the events that took place in Charlottesville, Va., and CarPlay. This week on the AppleInsider podcast, Neil and Victor talk conflicting rumors around the "iPhone 8" ship date, the company's rising stock price, and some of the interesting things happening in HomeKit. This week on the AppleInsider podcast, Neil and Victor talk about Apple's fiscal third-quarter 2017 earnings call, plus all the information that's hidden in the HomePod firmware. This week on the AppleInsider podcast, Neil and Victor talk about the death of the iPod, Apple's latest patent for AR googles, Foxconn manufacturing in the U.S., and much more. This week on the AppleInsider podcast, Neil and Victor talk about "iPhone 8" rumors and hype, including what its anticipated advanced camera system, complete with frickin' lasers, could mean for ARKit. We also tackle on-set audio editing with a MacBook Pro on the film "Baby Driver," iPhone wireless charging rumors, facial recognition, and much more.